The Prime Minister, Peter O’Neill has extended best wishes to all Australians celebrating their national day on January 26. PM O’Neill offered special best wishes to Australians who will celebrate their Australia Day amongst friends in Papua New Guinea. “Happy Australia Day to Australians who are visiting or living in Papua New Guinea,” the Prime Minister said. “I hope you have the time to relax and share some time with your Papua New Guinean friends. “We have thousands of Australians who are living in Papua New Guinea, many for several decades who now call our country home, and I am sure many will enjoy a barbecue or watch the cricket on Australia Day. 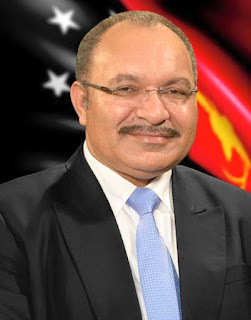 The Prime Minister said Papua New Guinea feels pain and sympathy with Australia when tragic events or disasters occur. “Papua new Guineans were saddened by the act of senseless violence in Melbourne last week. “Our people pray for the families of those who were killed and those who were injured, particularly the children. The relationship between Papua New Guinea and Australia continues to grow and we are strengthening our economic and cultural exchange. “We look forward to increasing our work together and building business ties and creating more jobs in both countries.